At Zesta Kitchens, we live and breathe kitchens. Our wealth of experience allows us to offer Melbourne some of the best and finest kitchen designs to suit each individual home. Each kitchen design is carefully planned in consultation with the customer’s needs to ensure the kitchen layout is exactly what you want. The most important aspect is the space and layout of your kitchen including the important work triangle – positioning of cooktop, sink and refrigerator for easy cooking. Storage is another key that customers are most concerned about so we know how to maximise the space to achieve ultimate storage solutions. 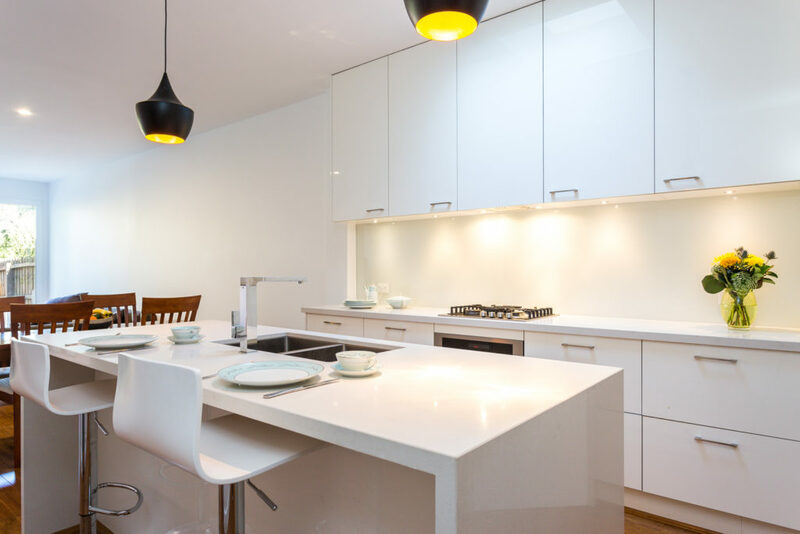 Luckily, at Zesta Kitchens Melbourne, we have years of experience in the kitchen renovation industry and understand how to “get it right” to ensure your kitchen renovation is a successful one. Our experienced design team knows how to listen to your needs and rework the design until you are happy with the result – this is one of the most important aspects of the kitchen renovation process. We pride ourselves on offering a friendly approach especially when we are in your home designing your kitchen. Our longevity is not by chance it is the ability to liaise with our customers to suit their needs, to realise their vision for their new kitchen. We will not be beaten on customer service and we know you will be impressed with not only the price but most importantly the quality. Quality in our kitchens is paramount that is why we offer a 10 year guarantee on all our kitchens so the design can suit different styles of kitchens and materials, and we can make it work for you. At Zesta Kitchens, we make it happen, with quality kitchen designs for your Melbourne home. Pick up the phone and call us today on 1300 100 555 to speak with one of our helpful and friendly staff. You can also use our online contact form and we will get back to you as soon as we can.